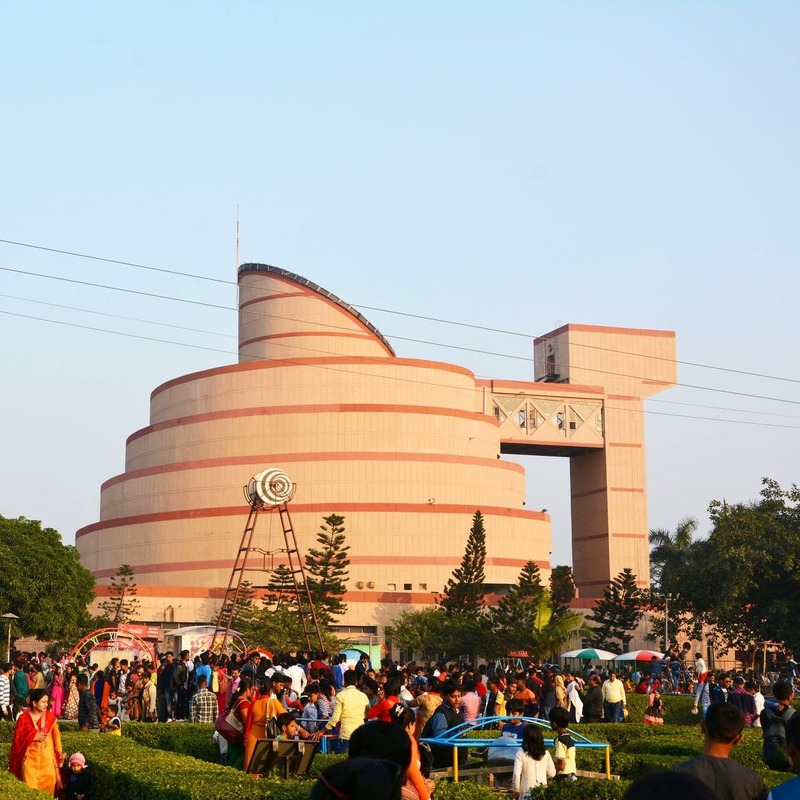 Get schooled – Science City is Kolkata’s coolest learning centre with stocks of information. Here’s what you can’t miss on a trip there. This giant dome-shaped museum and its adjoining buildings can be found in Topsia just off the main road. It’s open the whole day (from 9 am to 8 pm). You could do the whole trip in 3-4 hours but you would have to skip exhibits in that case. For the whole experience, keep your whole day free – there’s enough and more to do. Developed by the National Council of Science Museums, Science City is full of “wow” moments regardless of how old you are. If the giant green dinosaur outside doesn’t tempt you enough to enter this 20 year old museum, then the stocks of fun facts, and rides will. There are tons of interactive exhibits (everything from early plant models to prehistoric robotic animals), a ropeway, cable cars and so much more. Anyone from space enthusiasts to budding scientists and science nerds is guaranteed a good time. The Digital Panorama is a one of a kind show (literally, it’s the only one in the world) that crams important milestones of last 6 million years of human evolution into one panoramic 3D show. The show comes in 3 languages so you can pick whichever you are most comfortable with. Embark on the Evolution of Life, a ride that takes you through milestones in the evolution of living these complete with light and sound effects and CGI (yes, that’s what they use to create Daenerys’ dragons). There are multiple buildings each with its own shows, timetables and tickets (each of which costs between INR 30 and 60). The general entry fee is INR 50 exclusive of the shows. You can pick up a combined ticket for the shows which will burn a smaller hole in your pocket. Get an entire, elaborate trip of the entire place at INR 260 per head.